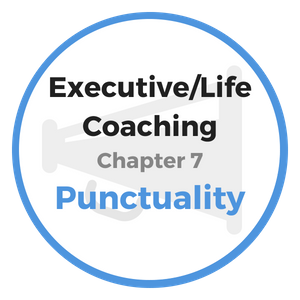 No life coaching course would be complete without a discussing the value of one's time. Successful leaders highly value their time and go to great pains to make the most of the limited time they have on a daily basis. They clearly understand that the worst part of losing an hour is not so much the lost time itself, but the lost opportunity. “What is the price of that book?” asked a man who had been browsing for over an hour in the front of Benjamin Franklin’s store. “One dollar,” replied the young clerk. “I’m sorry sir, but one dollar is the firm price of the book”, answered the clerk. The discouraged man asked to see the storeowner and even insisted once the clerk explained that Mr. Franklin was very busy at the moment. The man’s persistence convinced the clerk to go get Mr. Franklin. "Lost! Somewhere between sunrise and sunset, two golden hours, each set with sixty diamond minutes. No reward is offered, for they are gone forever." “One dollar and a quarter”, Franklin replied without hesitation. “True enough”, stated Franklin, “and I could have better afforded to take only a dollar had I not had to leave my work”. After a short pause, the man sheepishly recovered the money from his pocket and quickly left with his book in hand. Without a doubt, Franklin knew the value of closely managing his time. He was a tireless worker and even as a young man he rushed to make the most of each moment. As a boy, he became impatient of his father’s long-winded grace at the dinner table. Franklin asked his father if he could say grace for him in order to save additional time for his studies. Great men and women throughout history are known to place a high value on their day. They seek out opportunities to better themselves in order to maximize their results and achieve their goals. They understand that they're personal and professional development efforts must be ongoing, using every leadership tool and life coaching course available. When others squander time gossiping over beverages or taking naps, the high achievers are glued to their studies or working that little bit extra that over time makes all the difference in their results and the quality of their lives. George Stephenson seized every moment of time as if it were pure gold. He educated himself and did much of his best work during his spare moments. He learned arithmetic during the night shifts when he worked as an engineer. The past is the past and it is gone forever. Therefore, it makes no sense to invest any time today or in the future on things that lie in the past. "Whatever we will be is preceded by how we spend our days today and tomorrow." Do not brood over the past, or daydream about the future. Do, however, make certain you seize the present moments available to you. Life coaching experts know that idleness and inactivity tends to rust the body and make the mind weak. WORK, does the opposite. No one should be concerned over the youth that is always busy studying or working to pay his way. Rather, the ones heading for trouble are those who have no plans after dinner, no activities on the weekend, and no clear purpose or direction. The great majority of people, whose lives are graded as average, make no plans after supper. Most of those who climb upward each year of their life tend to devote most of their evenings to study, or work in some way to continually learn and grow. Time does equate to money. We should not be stingy or mean with our time, but we should not throw away an hour any more than we would rip up a dollar bill. Wasting of time equates to a waste of energy, waste of vitality, and wasted opportunity. Beware of how you choose to “kill time”, for your future is determined by this important decision. Being an effective manager of time is an essential message of our Executive and Life Coaching Course, as this one skill is vital for building a successful life. 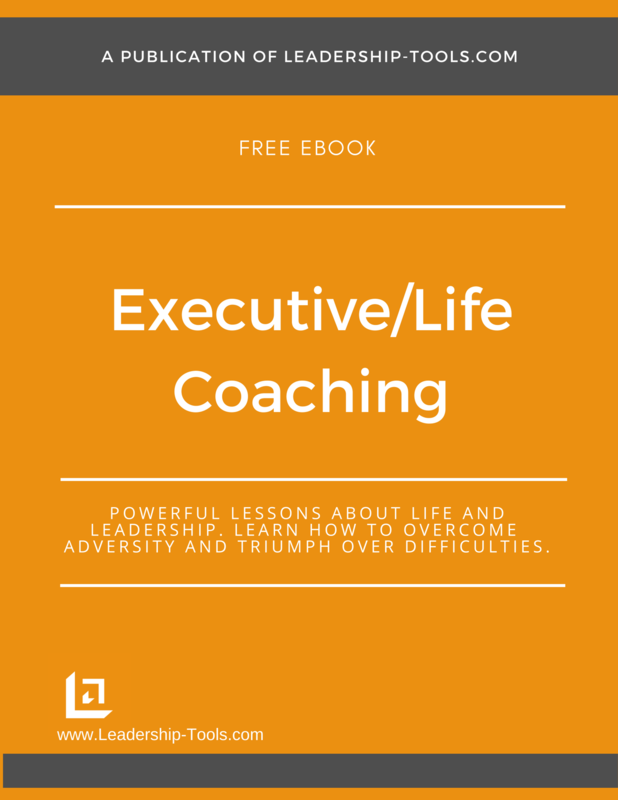 Complete the exercises in each chapter of this life coaching book. Take time to think through your responses and commit to taking action toward building a better life. Describe your process for managing time in order to gain the most from each day. Is time management working for you? Would you say you manage your time effectively, or do you allow time to manage you? Consider a typical work day. Write down all activities from the time you wake up to the time you go to sleep. Identify time that is currently being lost, such as time watching TV, surfing the Internet, playing video games, recreating, etc. Next, consider how that time can be utilized more productively. Given what you know now from the above life coaching course chapter, do you have ideas on how to improve in the area of time management? If yes, describe a goal you have and begin to plan how you can use your spare hours to achieve this important goal. 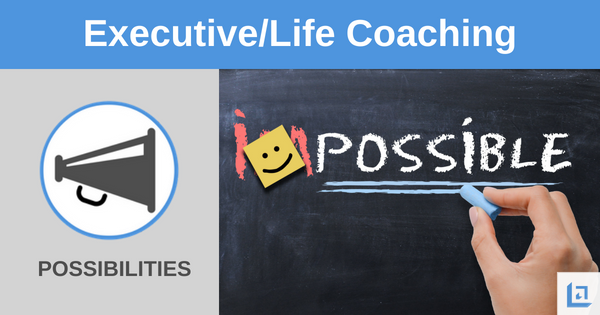 To download our free Executive and Life Coaching Course eBook, providing valuable career and life lessons and exercises, simply subscribe to our free newsletter. You will immediately receive a password that grants access to our entire leadership tools library.